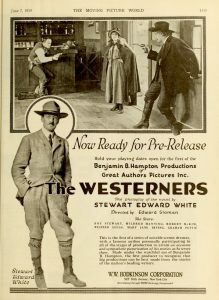 Stewart Edward White was a popular author in his day. From about 1900 through the early 1920s he published some three dozen books, both fiction and nonfiction, and they sold well. 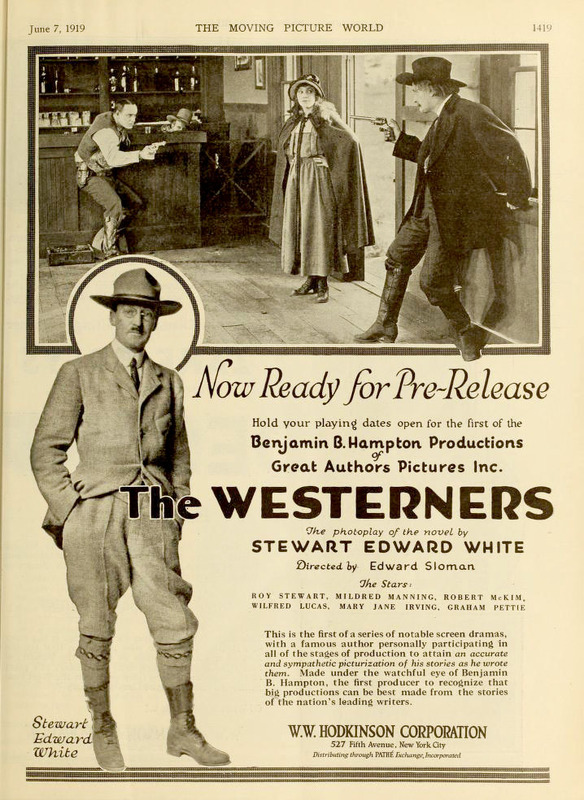 His first book, The Westerners, was made into a Hollywood movie. Eight of his books would get movie treatment. The majority of his work featured outdoors themes that explored America’s “vanishing wilderness.” He wrote about his personal adventures with camping, cabin-building, panning for gold, hunting, fishing canoeing, Alaskan adventures and hiking deep outback trails. His writing made him the first to be awarded the rare designation of Honorary Scout by the Boy Scouts of America in 1927, a recognition also given to the likes of Charles Lindbergh and James L. Clark. He hobnobbed with such luminaries as former President Teddy Roosevelt. Many of his works were later adapted into TV shows for The Wonderful World of Disney. It was in 1919 that his life took a strange detour. A Ouija board for sale in 1919. His party friends disliked the planchette normally used with an Ouija board so they substituted an overturned whiskey glass. No one was in a serious mood so they asked goofy, inane questions. They hooted with laughter and scoffed with derision as the Ouija board only seemed to be obliging them by spelling out absurd and simplistic responses. 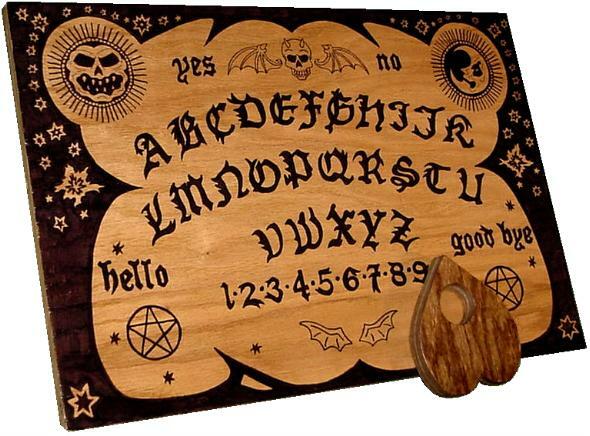 At one point, however, the Ouija expressed frustrations with the party folks. It abruptly spelled out: “Why do you ask such foolish questions?” This intrigued Stewart White. But there was another thing that caused Mr.White to become even more intrigued — it was the way that shot glass moved under his fingers. 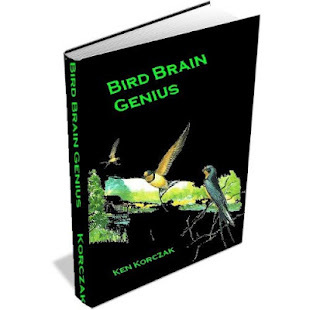 He was aware of the scientific theory that such movement was caused by involuntary motions of the hands driven by cues from the subconscious mind — what today is called the ideomotor effect — and yet, he had a nagging sense this wasn’t what was happening. He couldn’t shake the feeling that “some other force” was involved. The small peculiarities of the Ouija party captivated Betty just enough to pick up a pencil a few days later. 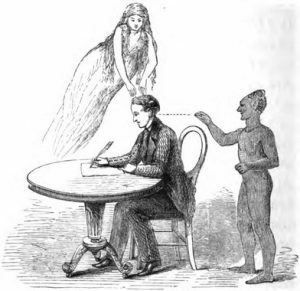 Yes … despite having little or no interest in the occult or spiritualism … she decided to go ahead and try her hand at automatic writing! A rare photo of Betty White along with her husband Stewart Edward White. Automatic writing is when someone writes down information without conscious intent. The hand seems to move on its own as it spells out words. The paranormal suggestion is that the writer has set his or her mind aside and is channeling information from an unseen agent, such as a spirit or nonhuman entity of some sort. 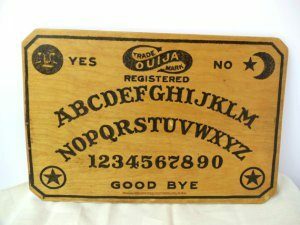 Those who lean skeptical say it is information percolating up from the subconscious, or basically the same ideomotor effect that drives the Ouija. There is no outside influence. This information is coming strictly from inside the brain of the writer — who is also probably just deluding him or herself, the skeptics say. As for Betty White, she just put all theories aside. Neither she nor her husband proclaimed to have an agenda, no investment in any particular theory, philosophy or occult influence — and for some extraordinary reason — Betty began the fantastically tedious process of trying to make headway with automatic writing! This was remarkable — because this effort can be elusive and banal in the extreme. And for what reward, exactly? It involves endless hours of sitting with a pencil poised over a sheet of paper and getting into a certain frame of mind — a state that would allow her hand to flow, to seemingly write stuff down as if the her hand had a mind of its own. A 19th Century depiction of automatic writing. I dare say 99 out of a 100 people … no, more like 999 out of a 1,000 people … who give this a try once or twice give up in abject frustration. But Betty persisted. She was able to generate just a few words and phrases at first. Later came more complete sentences. The information imparted by these phrases and sentences was just intriguing enough for Betty to soldier on. The interest, support and participation of her husband was certainly helpful. Betty eventually reached the point where she could generate pages of material via automatic writing. She then graduated to what today we could call “channeling.” She sat back in a mild trance state and dictated by voice information coming directly into her mind while her husband wrote it all down. That’s not what the nonphysical entities called themselves. Indeed, these beings who were so eager to speak through Betty were also highly reluctant to talk about themselves. The details about their own true nature would be “an unnecessary distraction,” they said. The information they wanted to impart to the human race was paramount. The Invisibles insisted that what they wanted to tell humanity was not just urgent, but “extremely urgent.” They said humankind had become lost is a miasma of trivial thoughts and petty pursuits They said that “thoughts are things,” and therefore, bad thoughts, negative thoughts and useless thoughts were doing great damage to the human condition. 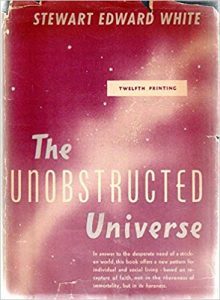 They told Betty and Stewart that the dominant philosophy of materialism — that people were mere physical matter interacting with a purely physical world — was a dead end. They said humanity had become cut off from “a larger truth and reality” about their individual and collective existence — which they said extends far beyond the borders of the physical body. They said the human brain was not merely a lump of meat acting and reacting to stimulus from the material world. The suggestion was that we had become convinced that we are mere biological machines, and that our reality ended at the border demarcated by the outline of our skin. The Invisibles then imparted a vision of each human being as a much vaster entity composed of a nonphysical component that was just as real as the physical body. Although the Invisibles, Betty and Stewart all disliked loaded terms such as “spirit” or “soul” because of the religious baggage attached to these definitions, they nevertheless used them for the sake of convenience. 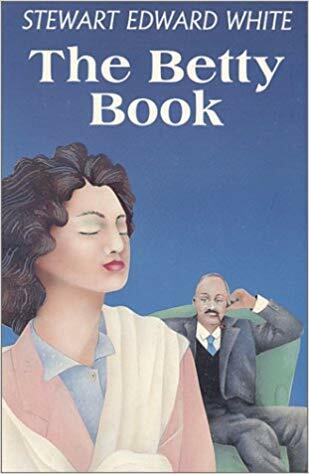 And so the majority of the information offered in The Betty Book is a kind of instruction manual for how human beings can expand their vision and understanding of themselves and get into greater touch with what is actually the larger aspect of who we are. Think of the physical body as the tip of the iceberg that peaks above the surface of the water — and the nonphysical or “spiritual aspect” as the greater, more significant and more important component of each individual person. 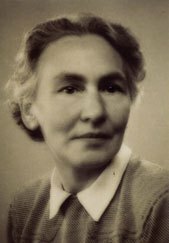 Tina Keller M.D., a pioneer of Jungian analysis. The kind of information and instruction offered by The Invisibles through Betty is some of the most remarkable channeled material I have ever read. Every page is deeply substantive and intellectually challenging — this is anything but more of the same New Age pap offered since, say, the 1960s, when a resurgence of channeled writings began to re-emerge into popular circulation on our bookshelves. The late Jane Roberts and “Seth”. 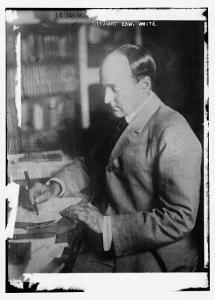 Roberts channeled the disincarnate entity to write dozens of books. As for myself, I can think of no greater compliment to make about The Betty Book than it offers channeled information on par with the work of the great Jane Roberts, author of the Seth books. Roberts is the gold standard for intelligent and authentic channeled material, in my opinion. Betty White’s information is far superior to, say, the healing advice and Atlantis predictions of Edgar Cayce, or the largely bland and vague pronouncements we get from so many of the popular psychic mediums selling books today. There’s some additional information in the appendix that is fascinating. Stewart and Betty get together with some like-minded friends and conduct a series of experiments in which The Invisibles bring forth a variety of physical phenomenon to demonstrate their reality. This includes producing visible auras around the bodies of the participants. The Invisibles also conjured a series of “masks” which appeared over the face of Betty causing her to look like her child self. Other masks gave her more bizarre, exaggerated caricatures. 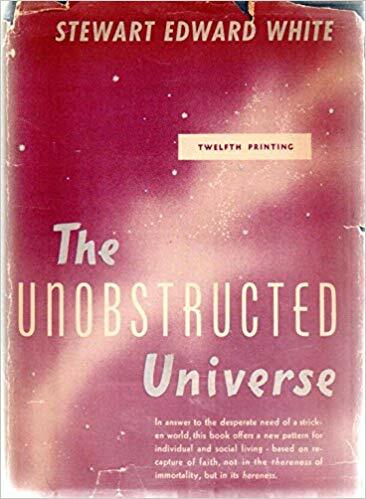 After the success of The Betty Book, Betty and Stewart produced several more volumes derived from Betty’s mediumship, the most successful of which was THE UNOBSTRUCTED UNIVERSE released in 1940. This book sold so rapidly that the printers had difficulty keeping up with month-to-month demand. I think it’s significant to note that the financial success of all the channeled Betty books was no big deal to Stewart and Betty White. They were fantastically rich and had been so from birth. Both were the children of multi-millionaires. Betty was from one of the most venerable aristocratic families of Rhode Island. Stewart’s grandfather and father made millions in the lumber business. 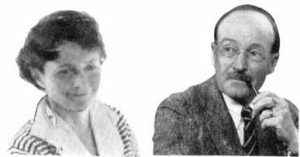 Stewart and Betty lived an exciting lifestyle of globe trotting, yachting and exotic adventure. That means the old skeptic’s charge of “they were just selling sensational books to make money” cannot apply. 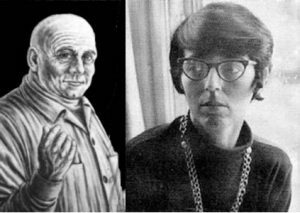 It’s safe to say that Stewart Edward White, his books and the metaphysical books he produced with Betty are largely forgotten today. Some of them were reprinted as paperbacks with sensational titles and lurid images in the 1970s. They were sold in airports and drugstore racks designed as impulse buys for folks with casual interest in the paranormal. Whatever the case, Betty White’s channeled information eloquently edited and assembled by her talented husband deserve a prominent place in the pantheon of the best metaphysical writings ever produced. 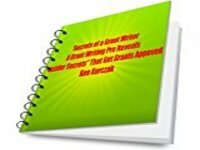 This entry was posted in Uncategorized and tagged Afterlife, American literature, automatic writing, Betty White, channeling, ghosts, mediums, metaphysical, New Age, occult, paranormal, spirit writings, Stewart Edward White, The Betty Book on July 27, 2018 by admin.